Lauren and Luke engagement session. We spent some time in downtown Royal Oak, wandering all around (as I do) looking for some nice spots for these images. My models for the day were very keen and co-operative! Now that's a nice thing to have, sometime people, especially the guys, are a little, just a little, apprehensive. Well, terrified might be a better word. No, seriously, it's only some that are terrified. The girls on the other hand, they are usually totally into it. They love having their engagement photos taken. 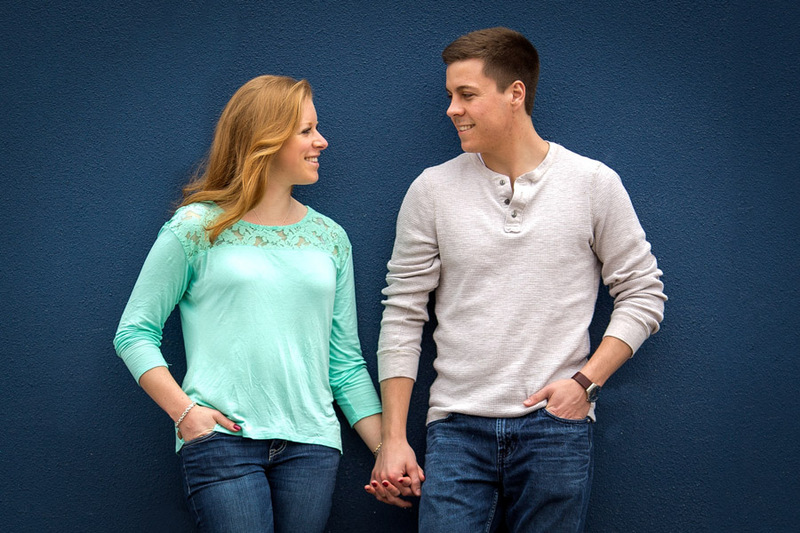 Having a fun time during an engagement session always points to a really fun wedding day. 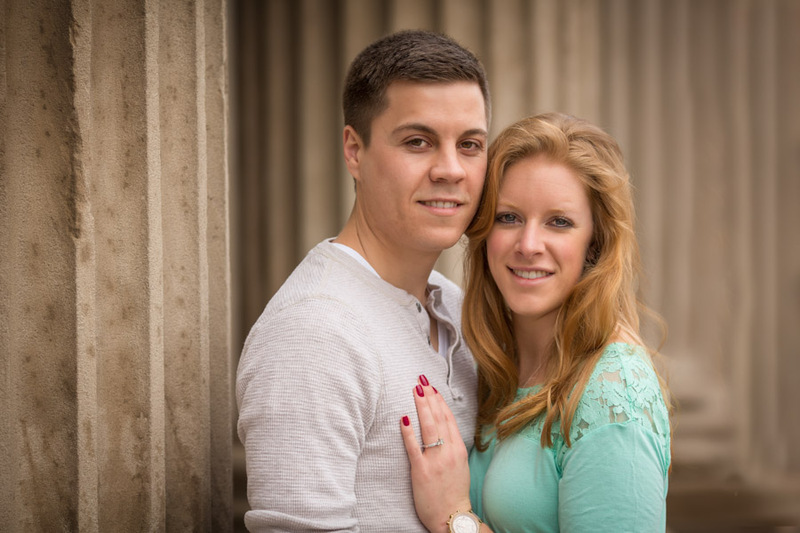 It's true to say that I'm looking forward to Lauren & Luke's wedding day, the bulk of which will be at Glen Oaks. We spent a little time at those awesome pillars you see in the shots, and these guys were happy to try the serious, fashion type of pose, The totally nailed it! The black and white image, I absolutely love that one. Lauren has it down. Very cool. 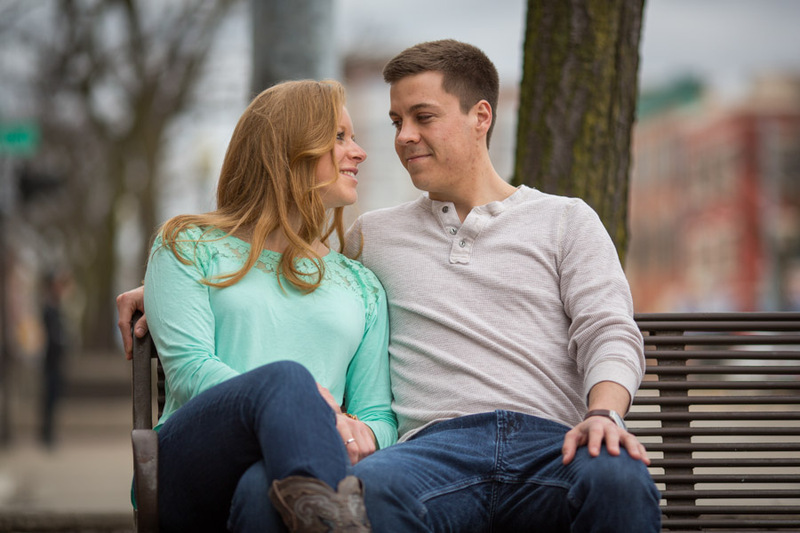 I always like shooting engagements in Royal Oak, there seems to be so many places to go to. Those pillars give a classical feel to the shot, then there is the blue wall - that's much more artsy in my opinion. A much more modern look than the classical pillars. The railway line also offers possibilities, but, it's a little risky. I have been shooed away before by a policeman. I guess sitting people down on a line that has trains running on it isn't the smartest move. But we were careful officer! 🙂 The shots can be cool though, and that's for another post. So here are just a few images. Click the link for some traditional portraits. Click the link for a New York engagement session.